This is a square Blue Coal porcelain sign. 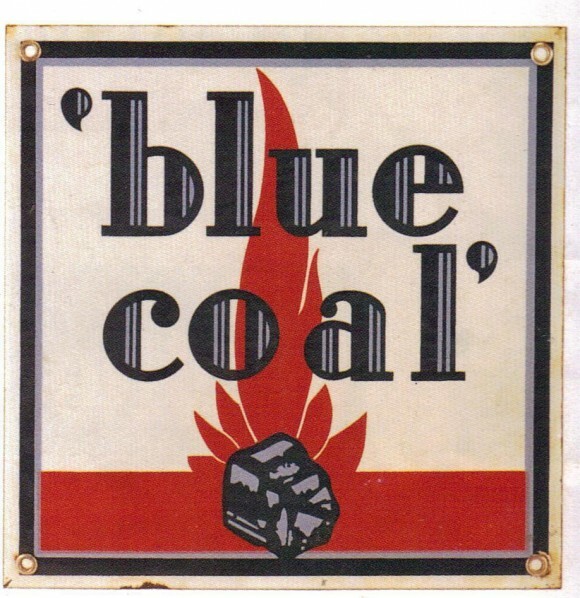 This particular Blue Coal sign is predominantly white with blue text and a red stripe at the bottom. It reads, “Blue Coal” and features a lump of coal with red flames.